The boys’ basketball team has been named Skyland Conference Team of the Year by NJ.com! 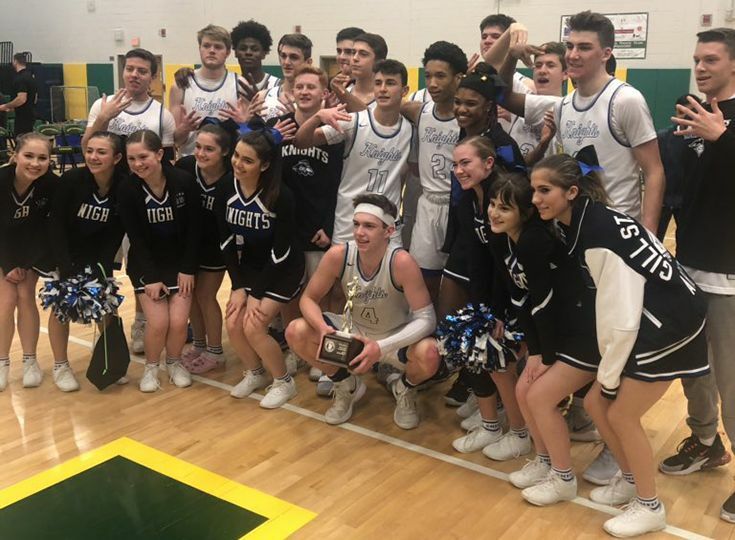 This comes after the Knights won their ninth-straight conference divisional title and fifth-straight Somerset County championship as well. Gill also advanced to its second-straight Non-Public B sectional final and finished the season as the fourth-ranked program in the state. Three Knights were also named to 1st Team All-Conference (Paul Mulcahy ’19, Zach Martini ’20, and Will Soucie ’20) with Denver Anglin ’22 receiving 2nd Team All-Conference accolades.